Magazines. Love them. Always have, always will. I can’t quite remember at what age I became obsessed with magazines because I don’t recall when I wasn’t in love with them. Well, truth be told, I probably became enamored with the written word when I read my first book. Yes, books came before magazines. But magazines have stuck with me like an ex you just can’t get off your mind. Somewhere in between there, I discovered the joy of writing in a diary–later to become my beloved journal. Sidenote: I still have my first Hello Kitty diary that my dad bought me when I was around five years old! I first thought about a career in journalism back in middle school where I was one of the TV anchors at our kid-run news station. But once I realized I was far too camera shy for that, I knew putting my pen to paper (or, who am I kidding–typing away) would be my future path in some shape or form. I joined the literary magazine and yearbook staff in high school and wrote for my college campus newspaper and co-edited an organization newsletter. I excelled in all my English and foreign language courses, winning awards and scholarships for my achievements in both. From that point on I knew that communicating was what I was born to do. I never had a doubt about majoring in Communication with a focus in journalism. I minored in English. I reveled in taking literature courses where the English language was born! Yes, I even went all the way to London, England to study the classics of my native tongue. I cannot explain what it meant to read Virginia Woolf or Shakespeare in the land where these writers were born, inspired, and ultimately became the legends they are hundreds of years later. I continued on my relentless path to become a journalist, much to my father’s chagrin. He feared I would ultimately be disillusioned with the media industry’s low-paying salaries and long, hard road to success. He was right to a certain extent (of course I only know this now from experience; I was far too stubborn to listen to him then when all I cared about was following my heart and chasing my dreams). This is not an easy industry to break into by any means. There are way too many graduates (and non-graduates) vying for the same job and/or willing to work for free (gasp) to be able to get their foot in the door. But through hard work and a bit of luck, I landed an internship at Nickelodeon Magazine, where I was fortunate enough to never have to fetch coffee! It’s there that I got my first highly addictive dose of what it was really like behind the closed doors of a magazine. I got to pitch story ideas during editorial meetings, interview celebs over the phone (the highlight of my then 21-year-old life), respond to readers’ letters, and research and fact check stories. It was everything I had hoped for and more. I was hooked. There is where I knew I was meant to be. Fast forward to a few months later when I was graduating college already with a job offer in hand. It felt so good to throw that in my father’s face, who thought it would take me months to find a job. 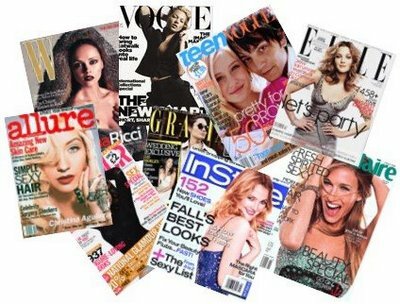 I spent a couple months working for a small book publisher in New York but quickly realized that magazines were my destiny. And that’s how I got to where I am today. Six years later, I run an entire magazine almost completely on my own. I became “Editor” at the age of 24. I’m not writing this to brag. I sometimes forget how much I’ve accomplished by the age of 28. But inevitably, things run their course and I’ve reached the point where it’s time to move on to the next step. I haven’t quite figured out what that is yet. The dream is still to land a staff editor job at a big consumer magazine in NYC. Believe me, I’ve tried. It’s hard to determine if the fact that I edit/write for a trade publication is what’s made the transition so difficult to make, or if it’s the incredible demand for those jobs as I stated earlier. I have more than enough experience in every aspect of the publishing process. I’m constantly keeping myself up-to-speed on what’s new in my industry, including the intricacies of writing and editing for the web. I attend all kinds of media seminars, courses, networking events. I read way too many blogs on the subject, Tweet, Facebook, etc. in an effort to stay relevant on the topics I didn’t learn in college. Social media wasn’t around then. There’s a lot to keep up with but it’s never dull. I enjoy being in the classroom from time to time learning what’s new in my field. I take pride in that. But there are times when I can’t help but hear my dad’s words echo in my mind. It is becoming increasingly difficult to make a decent living off my current editorial salary. And as years go by and I still haven’t found the right next step, I sometimes wonder if I’m barking up the wrong tree. Should I lay off the magazine dream a bit (after all, many will argue it’s a dying medium) and focus more on more current forms of media such as the web? Or, there’s always the option of finding a PR or copywriting job that would probably pay better and try to satisfy my desire to write/edit on a part-time freelance basis instead. It’s never an easy answer because I inevitably end up crying at the thought of giving up on magazines. Yes, tears have been shed on the topic. No lie. At what point do I stop trying? I don’t know if I ever will. I just hope I’m able to figure it out soon because this endless love is exhausting. Tags: career, dreams, editing, hopes, job, journalist, love, magazines, writing. Bookmark the permalink.